The Brigham Building for the Future, an 11-story, 360,000-square-foot LEED Gold-certified building, will include state-of-the-art lab and outpatient clinical space, advanced imaging facilities and underground parking. The facility, scheduled to open in the fall of 2016, will also incorporate a number of innovative features, including a roof garden to reduce storm water runoff, a system that cleans and reuses storm water for mechanical equipment, and a co-generation plant to supply the building with electricity, steam and hot water. 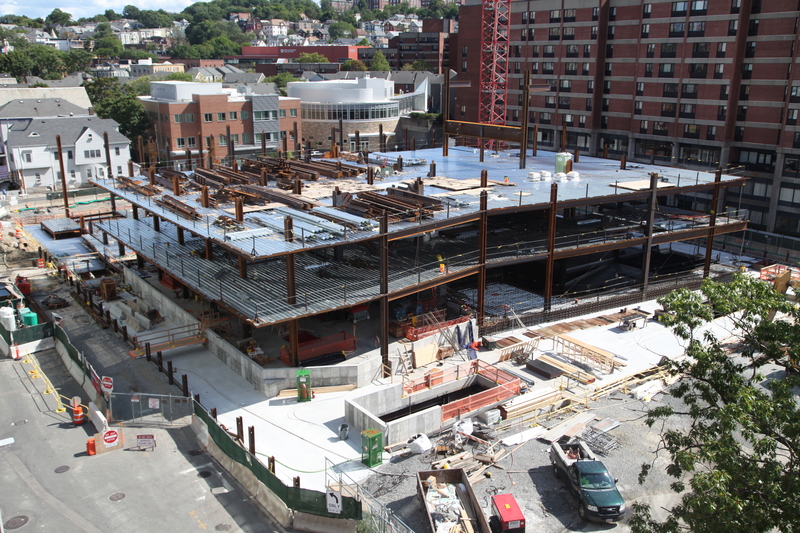 Watch the construction progress in action on the BWH website.